The latest addition forms part of a planned programme to expand Isuzu Truck’s UK dealer network. HRVS (Sleaford) Ltd is a multi-franchise dealership that has been operating in its current location since April 2014. The five-acre site offers a six-bay commercial vehicle workshop. 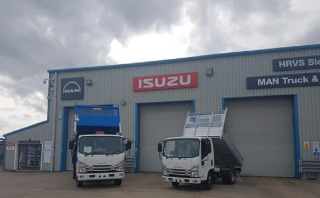 Keith Sims, group operations director at HRVS (Group) Ltd, said: “Adding the Isuzu truck franchise at our Sleaford site is a natural extension to our current business and, as part of this relationship with ITUK, we are growing the number of Isuzu trained technicians at the site.